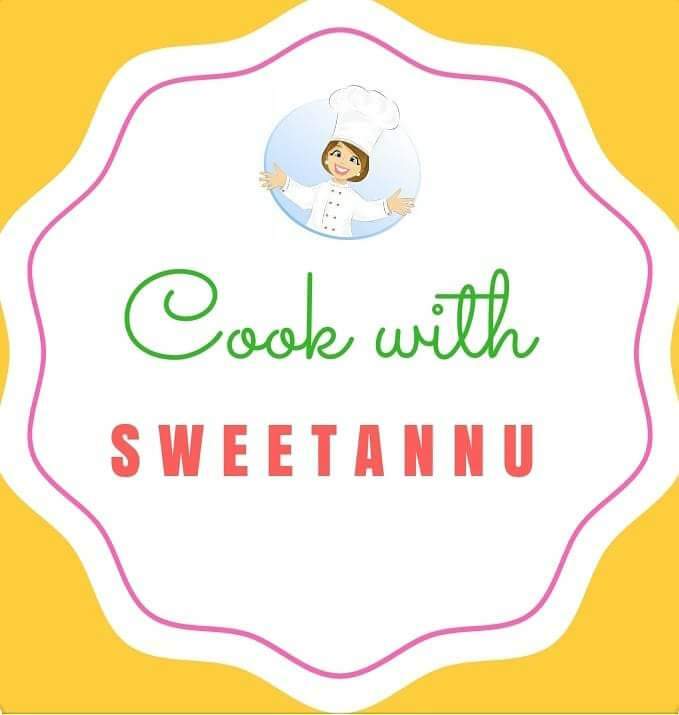 Put on your aprons and lets cook with Sweetannu today. 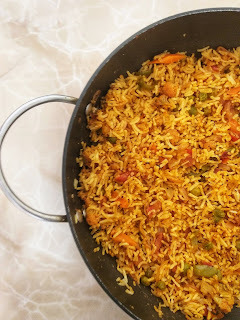 Stirring up a really easy Mixed Vegetable Pulao (Veg Pulav) for lunch. 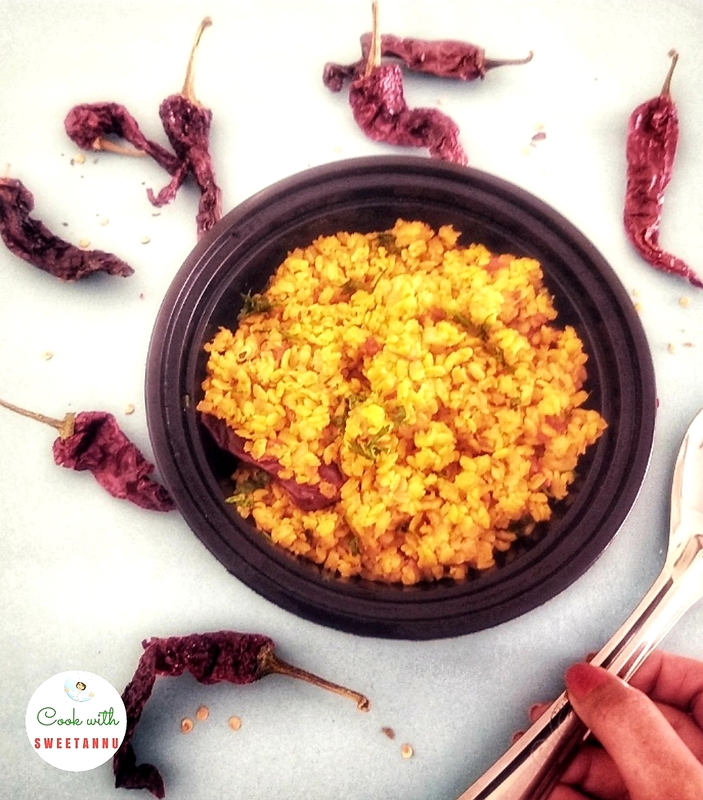 This spicy rice dish needs no introduction at all. 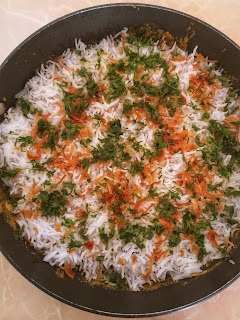 This is prepared by cooking rice with various vegetables and spices. In this recipe, I have made my work really easy by using Kitchen aid ready powders in this recipe. You can use regular vegetables instead. It's the spices that add the real flavour and taste to the Vegetable Pulav. You can make it in a pressure cooker or then cook the rice separately and then add to your vegetable mixture. I prefer taking little more efforts to cook my rice separately as it gives the best results. 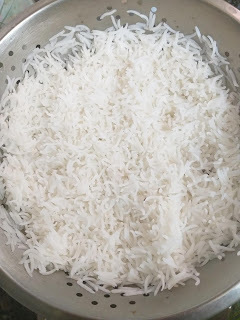 The grains of rice does not stick together unlike when you use the pressure cooker. 1. 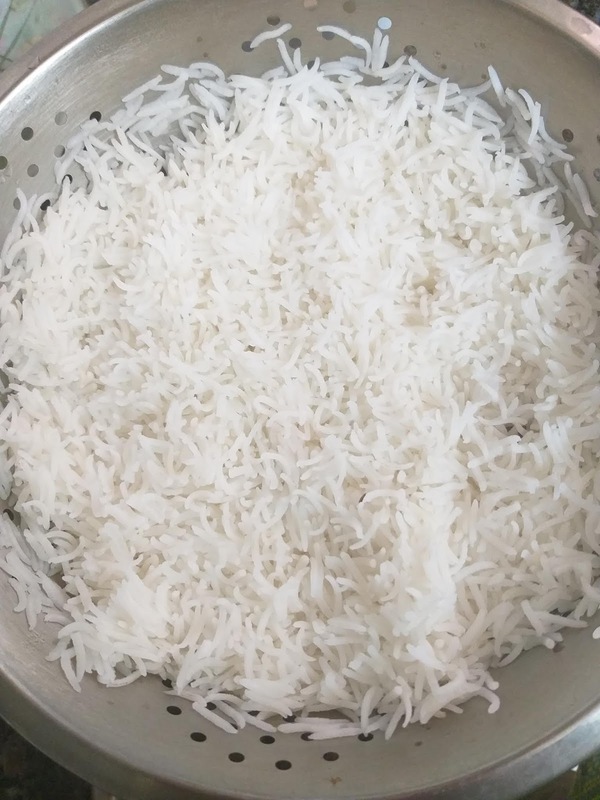 Wash rice and soak it in water for 15-20 minutes. Drain and keep aside until needed. 3 Add chopped tomatoes and green chilies and sauté on low flame for one minute. 4. Now add green peas, french beans, carrot, and cauliflower. 5. Now sir-fry all the vegetables for approx 2 minutes. Also, add dry spices at this stage. 6. 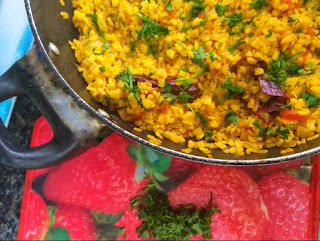 Parboil the rice, with one tsp ghee and a little salt. 7. Now strain the rice and add to the vegetable mixture. Stir-fry them for approx. 2 minutes. 8. Add 1 cup water and mix well. 9. Close the lid and cook over medium flame till water dries up. Do not keep mixing at this stage. 10. Let it cool at room temperature. Open the lid carefully and fluff the rice with a fork. Transfer it to a serving bowl and garnish with fresh coriander leaves. 11. 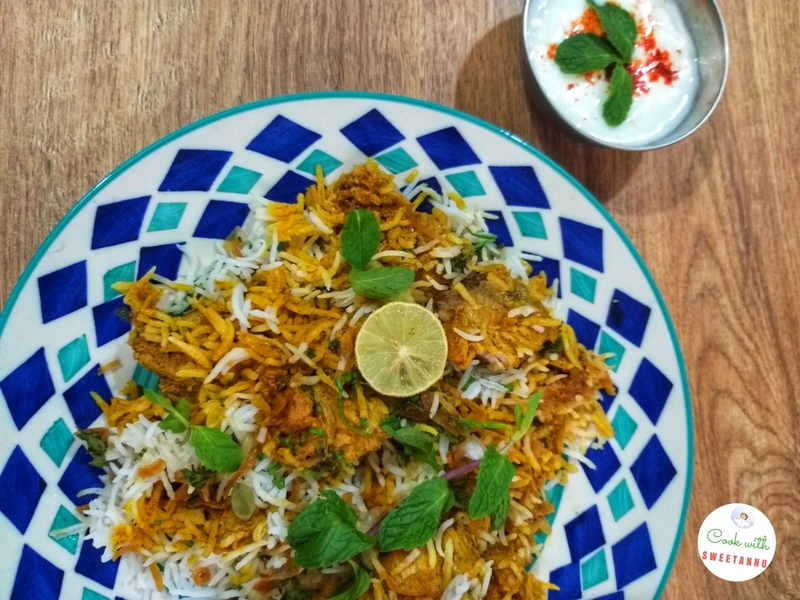 Serve this with raita or dahi curry, pickle, and papad. 1. 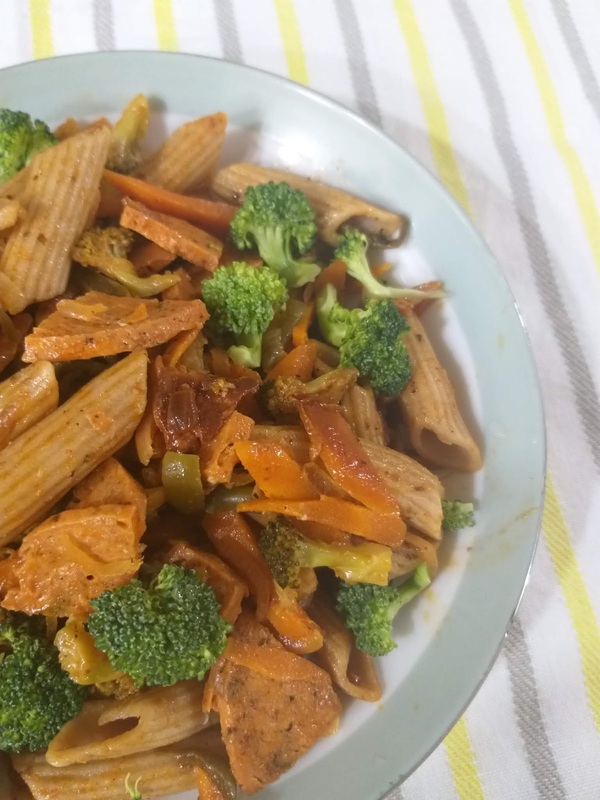 For this recipe, I substituted onion, tomatoes, green chilies and garlic. With Kitchen D'lite -Ready to use powders. The cooking procedure got easier. No chopping or hassles of peeling onions and garlic. 2. You can prepare it in a large quantity in a larger pressure cooker. Just use rice and water in 1:2 ratios. i.e. for every one cup of rice, two cups water should be added. Even when you have had simply no time to go to the market to buy vegetables, and are struggling to think of something good to cook. Let your creative side shine through in your cooking too. On the brighter side, I had a big bunch of farm fresh white onions. 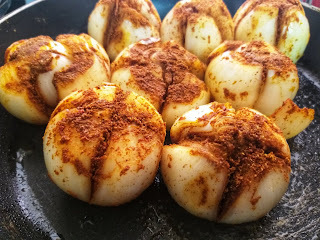 So, I decided to stuff them with masala and prepare it like a starter. Bharwa kanda is what they call it in some parts of Northern India. 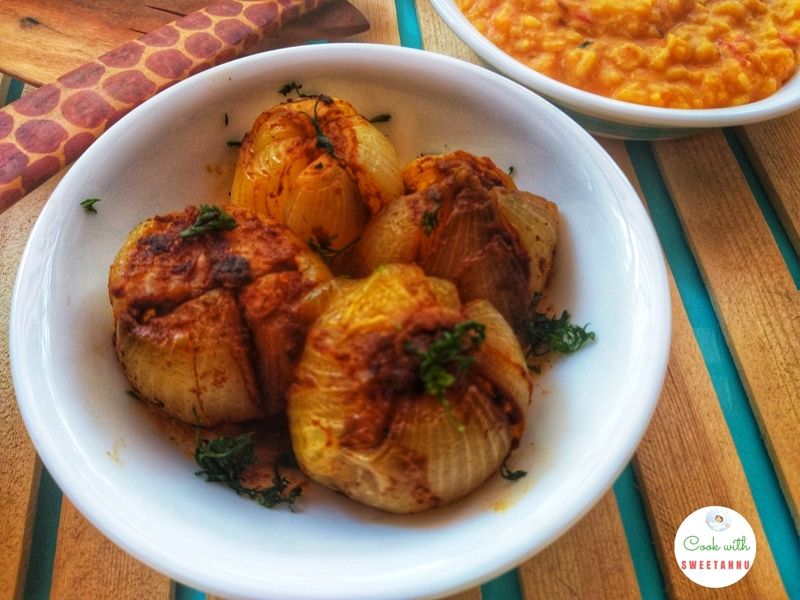 The sweetness on the onions combined with spices made it a very delectable treat for my family. Stuffed onions? Yes, you read right. 1. 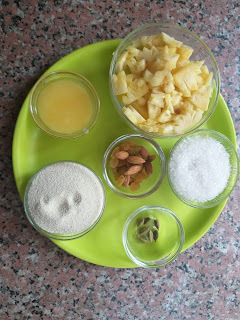 First make the filing by mixing all the dry ingredients in a bowl. Add ginger garlic paste, salt and all the spices to make a paste. 2. Peel the onion outer layer and slit the top of the onion to make it flat. 3. Not with a sharp knife .ake a cross cut till the bottom of the onion but not cutting it through. 4. Now stuff the filling equally between the incisions of the onions. 5. Keep the onions aside for 5 minutes. They may leave water but that is ok.
6. Heat oil in a frying pan and slowly place the onions in it, standing upwards. 7. Reduce the heat and cover the pan with a lid and stir from time to time. 8. Cook until the onions are cooked ensuring they do not turn soft and squishy. 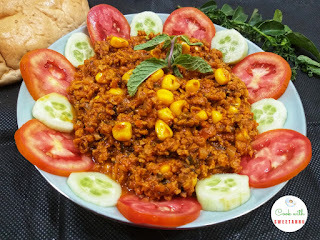 Vegetarian soybean kheema is often confused for mutton mince. And is very often compared to kheema as in taste. 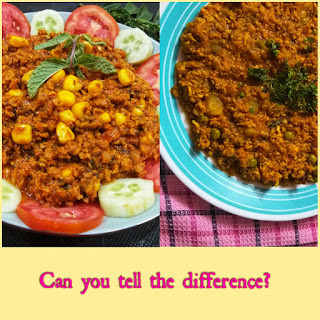 Infact some of my friends call it the vegetarian kheema and vouch that you cannot tell the difference between veg and non veg kheema. So I decided to try to do the recipe exactly like mutton mince with a twist, added american sweet corn, not peas or potatoes. An important point is to wash the soyabean in warm water and squeeze a dash of lime if you wish to eliminate the distinctive smell of soyabean. 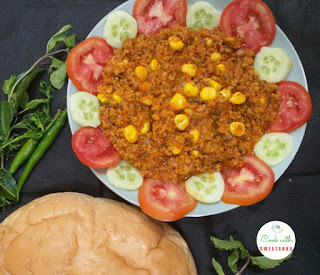 The key to prepare soyabean kheema is the right timing for adding each ingredient and give it ample time to cook otherwise the raw taste of soya is not going to make the dish delicious enough to relish. 1. Firstly we have to prepare the soyabean before we cook it. Make some water hot and soak the Soyabean Granules in it. Let them sit in the water for 10-15 minutes. Now squeeze the juice of one lemon in the water and stir. After 5 minutes squeeze to drain extra water. Now its ready for cooking. 2.Heat oil in a pan and once the oil is hot add whole dry spices (bay leaf, black cardamom, cloves, peppercorns, cinnamon and sauté it for 2 minutes. 3. To this add the finely chopped onions and cook untill the onions are golden pink in colour. 4. Now add the ginger garlic paste, slit green chillies and saute for 2 more minutes. 5. Next step is to add turmeric powder, coriander powder, red chilli powder and give it a good stir. 6. To this add the tomato puree to the pan and stir the mixture on slow heat for about 5 minutes. Cook till oil separates from the cooked onion/tomato mixture. 7. Add minced soyabean and salt at this stage. Cook it for 5 minutes and make sure that soya is not sticking to the bottom. Do not add any water here. Let the masalas blend well with soya. 8. Now add 1 cup of American corn and mix for another 2 minutes. water. Stir well, cover the pan and cook. 9. Cook till all the water evaporates.and rawness of soyabean has gone. Saute for five more minutes on slow flame. 10.Garnish it with fresh coriander leaves and serve it hot with fresh chapati or naan bread. 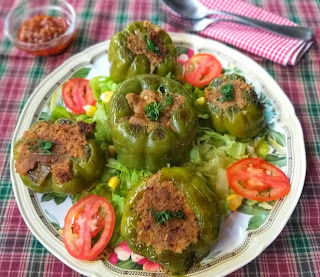 You must be thinking that the Stuffed Capsicum recipe might be a very difficult one to execute. Laborious and time-consuming. However, that's not the case. It takes the same ingredients you would put in an aloo-capsicum bhaaji and almost the same time too. 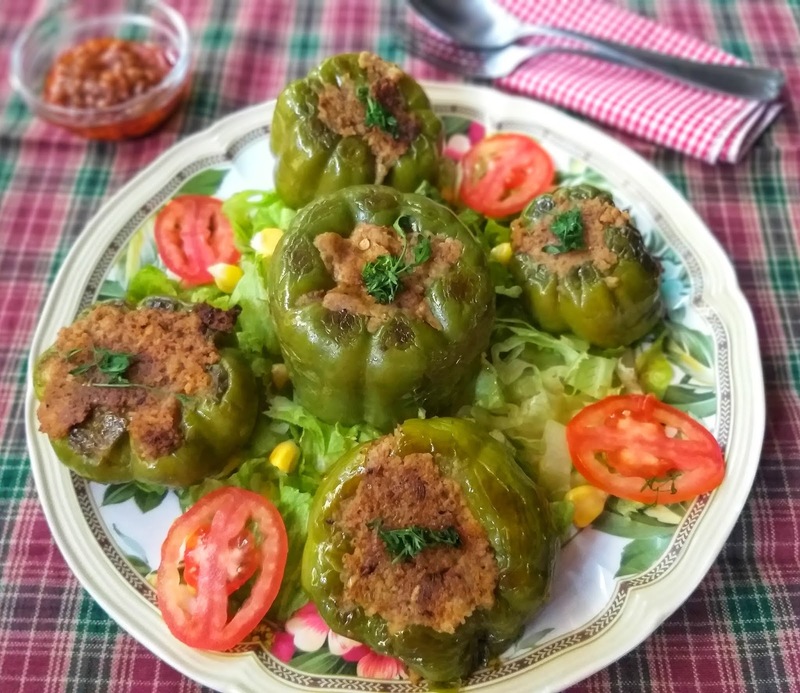 It's totally worth making Stuffed Capsicum as it looks and tastes fabulous. The Stuffed Capsicum can be enhanced with cheese however I decided to keep it simple with a spicy potato mixture. Note the ingredients and the recipe below. 1. Heat 1 tbsp oil in a small frying pan, now add the chopped garlic and saute for one minute. 2. To this add the onions, green chilies and peanuts. Roast this on medium flame until onions are nicely caramelized and browned. 3. Now add the dry spices and salt. Roast the mixture on low flame for 2 minutes. 4. To this add the mashed potatoes and mix well. See that all the masalas and potatoes are mixed well together. 5. Now cut off the stem of the capsicums, scope out and remove all the seed from inside. Cut the base of capsicum to see that it stands. 6. Now stuff each capsicum with the potato filling pressing it flat over the top to avoid spillage. 7. Heat the remaining oil in a frying pan and place each stuffed capsicum in it. 8. 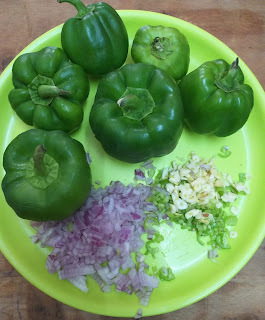 Rotate and cook from all sides till capsicum is browned. You can keep a constant watch as it cooks. When capsicum has slightly softened that means it has been cooked. This should take about 2-3 mins on each side. 9. 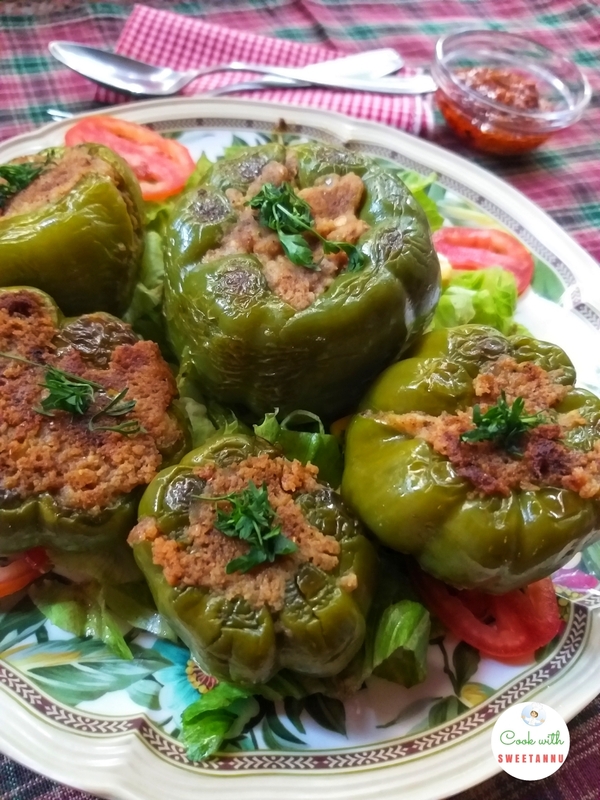 Stuffed bell peppers ready to serve. Serve it appetizers or side dish with ketchup or Mayo. 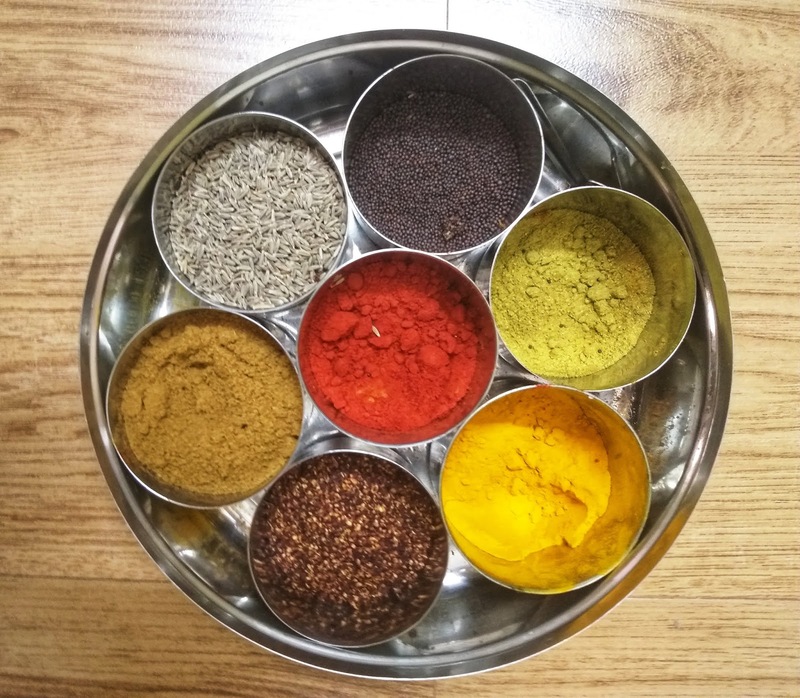 You can add herbs or spices to your own liking and try the recipe. Cheese will make it indulgent and delicious. Instead of cooking the stuffed Capsicum in a pan, you can roast them in a grill/oven. Now grab a fork and enjoy!! 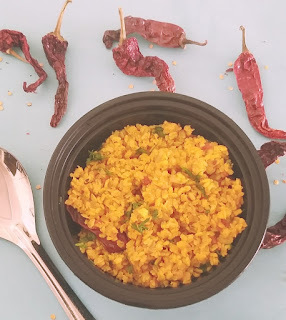 Today let's cook Amritsari Sookhi Moong Dal. This dish is a traditional dish cooked up in North Indian homes as a main dish, It is truly delicious and highly nutritious Punjabi recipe. 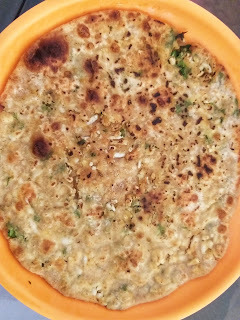 A quick and easy-to-make dish that is best enjoyed with a hot chapati or a plain paratha. Amritsari Moong dal is light on the tummy too. The best thing about this easy recipe is that you can make it in just half an hour. 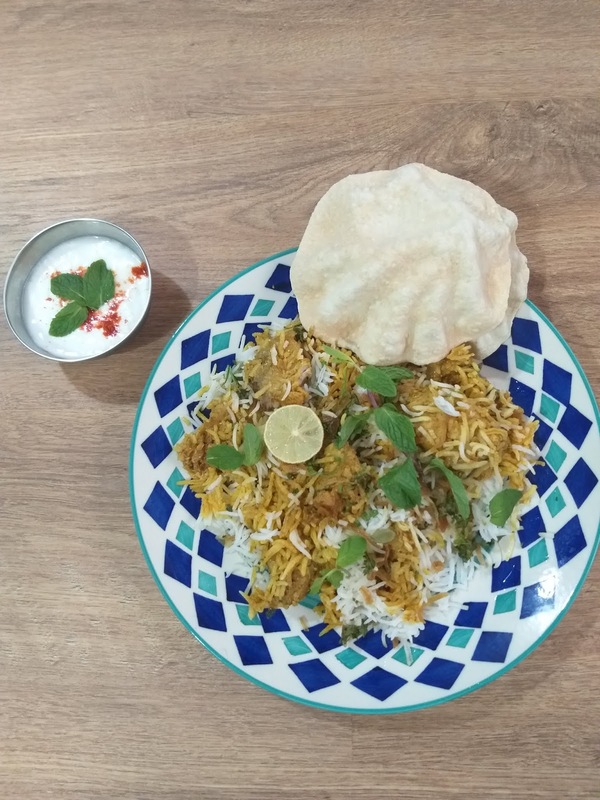 You can also pack this yummy dish for your kids in tiffin. Try it! 1. 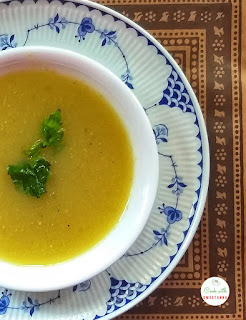 In a saucepan, boil the moong dal with 3 cups of water. Boil along with salt, turmeric powder and grated ginger. 3. Cook on medium flame till the dal gets soft. All the water should be soaked up. 4. Now for the tadka, place a pan on medium flame and add ghee to it. Add cumin seeds when the ghee is hot. 5. Add chopped onion to this and sauté till the onion is translucent and pinkish in colour. 6. Add asafoetida powder, then the chopped tomatoes and sauté for 3-4 minutes till the tomatoes are cooked. 7. 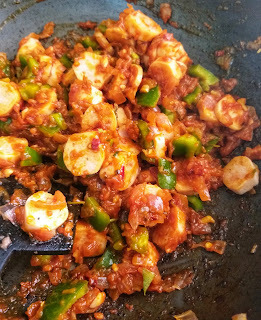 Now, add red chillies, chilli powder and sauté until the ghee starts to leave the sides of the pan. 8. Add the dal and one cup water. Let the dal simmer with lid on. 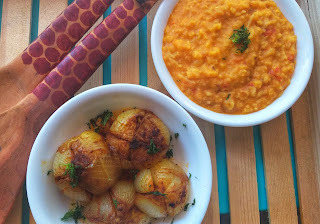 Let the dal dry but remains whole. Do not blend the dal. 9. Stir fry the dal for a few seconds and transfer into a serving dish. 10. Garnish with chopped coriander leaves and serve hot with parathas and sliced onions. Time to enjoy Amritsari Sookhi Moong Dal with family. And happy moments cooking for your family. There is absolutely no limit of stuffing you can put in a paratha. 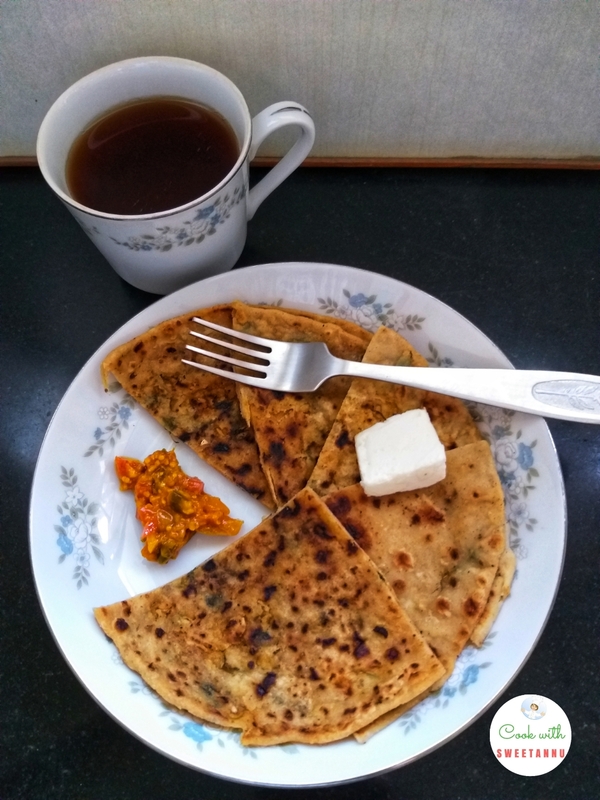 You can stuff the parathas with almost anything, but have you ever tried boiled eggs stuffed parathas before? It was a big surprise for me too when I visited my sister's house. This is what I learnt from her maid. Came back home and tried to replicate it for my egg loving family. 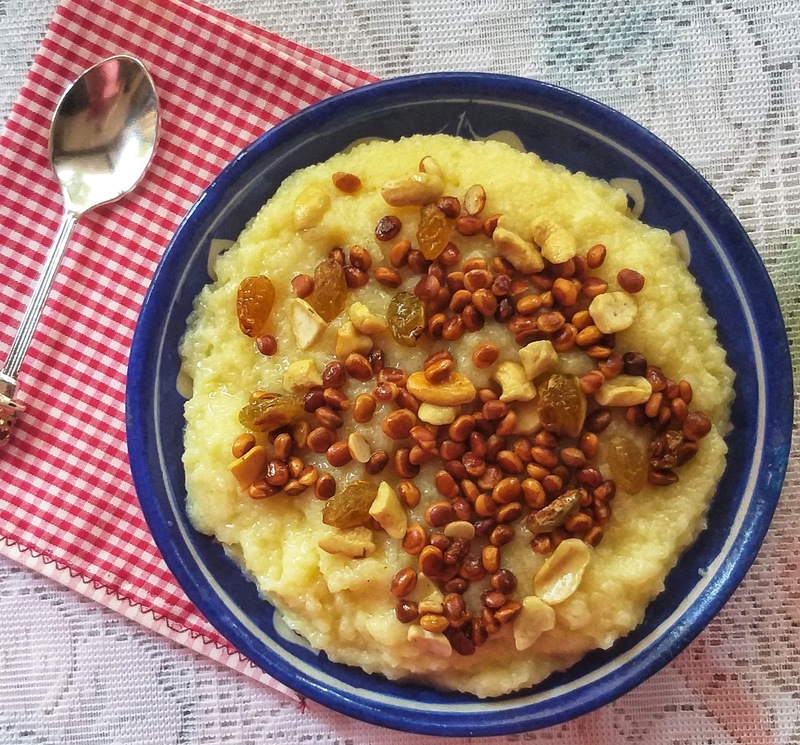 It can make a very nutritious morning breakfast or even can be packed with tiffin. These egg parathas taste best when had hot and with some lime/chilly pickle. To make four parathas, note the ingredients and recipe. 1. Take the flour in a bowl , add little salt and knead into a soft dough. 2. Sprinkle a little oil over it, cover and let the dough rest for 15 minutes. 3. After 15 minutes take out the dough and knead it once again. Now divide the dough in four parts. 4. 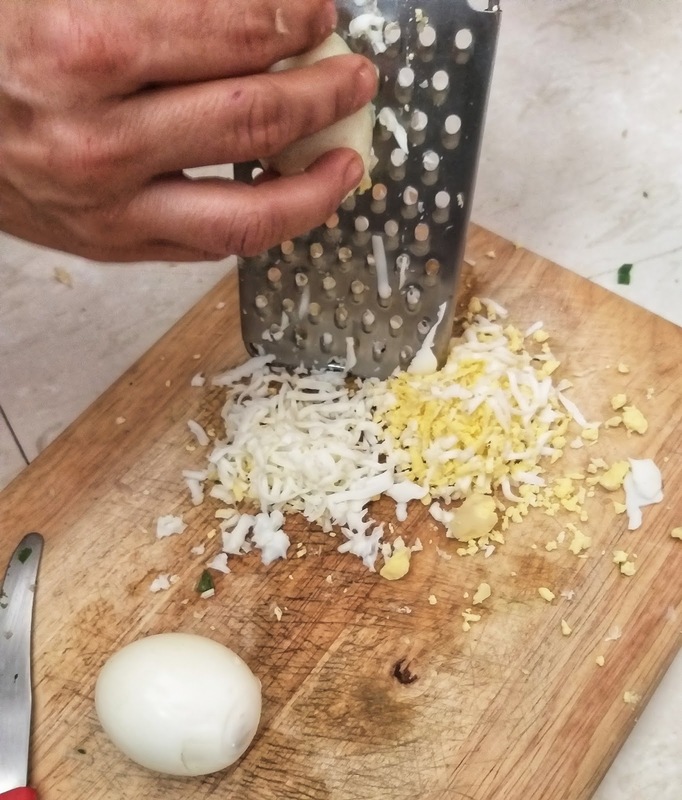 Peel the boiled eggs and grate them like you would grate a cube of cheese. 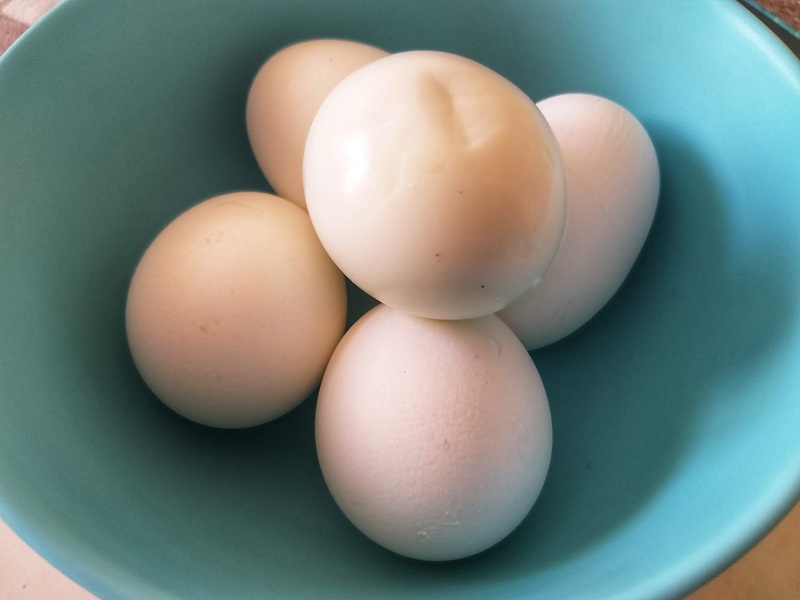 Even the yolks. 5. Now mix in the corriander leaves, chopped chillies, garam masala, chaat masala and salt. 6. Make 4 equal potions of the egg mixture. 7. Use your fingers to make the dough ball flat in your palms like a round disc. 8. Place the egg mixture in the middle and seal the sides. Bring the dough around and seal it. 9. Dip this in the dry flour and roll it to a disc. 10. With the help of rolling pin, roll out a flat round paratha. 11. 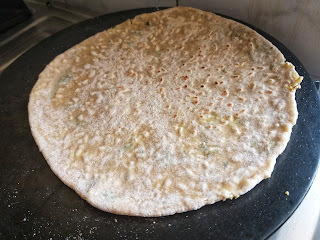 Now heat a tawa or pan, cook the egg paratha from both sides using little oil/ghee. 12. Cook it on slow flame, serve it hot and enjoy with pickle or ketchup. Today I wish to share a simple celery soup recipe. But how did it begin? With my weekly visit to my local market. I bought a nice big bunch of fresh green celery. 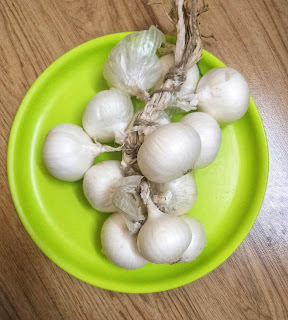 The vendor insisted it was fresh and at a good price at INR 20. Here are a few tips to check celery before you buy. 1. The stalks should be sturdy . Look for celery that has sturdy, upright stalks. They should snap easily when you pull them, not bend. 2. The leaves should be crisp. Leaves should not only look fresh, they should range in color from pale to bright green. Avoid celery with yellow or brown patches. 3. 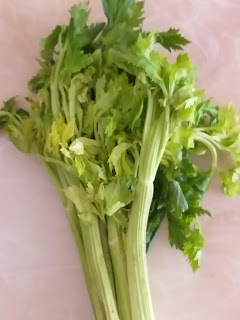 You need to chop celery just before cooking or serving to maintain nutrients. Do not over cook celery, this will retain flavor and nutrients. 4. Eat in five to seven days. 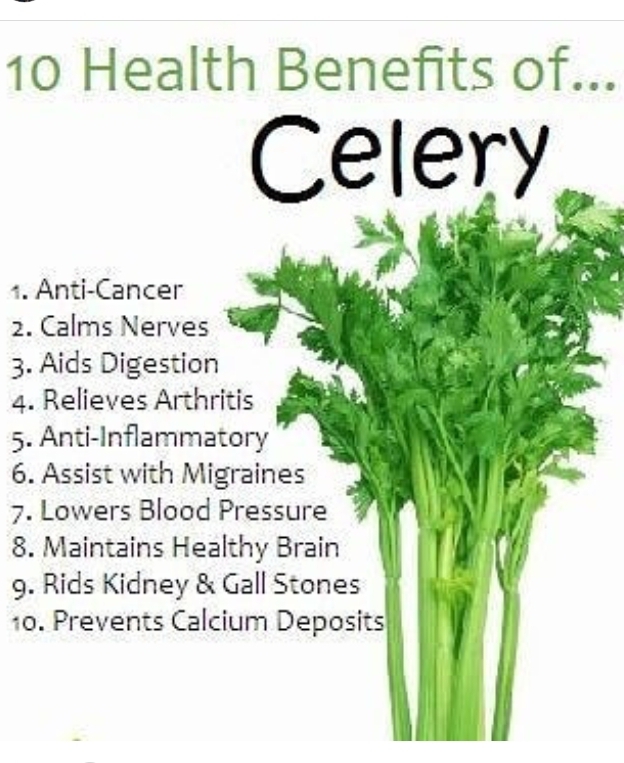 Eat fresh celery within five to seven days to enjoy its maximum nutritional benefits. 5. Eat the leaves. 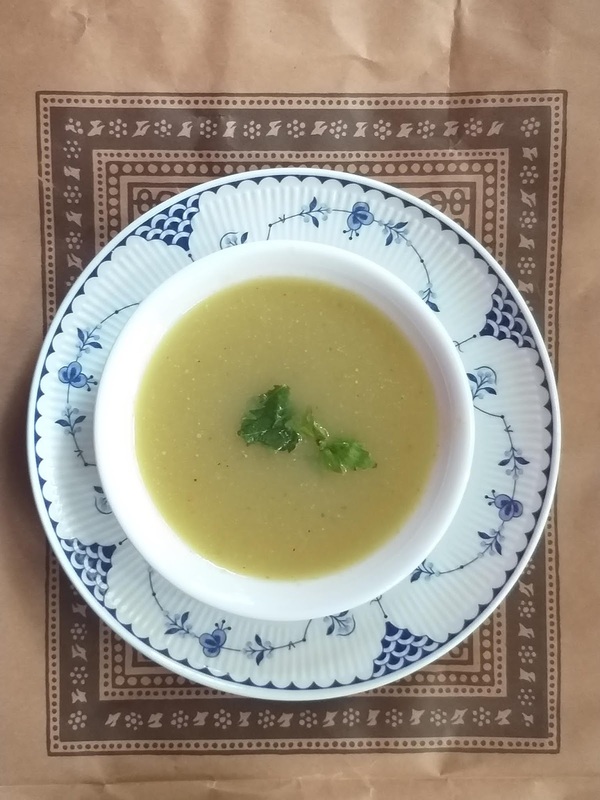 Don’t discard the leaves — that’s where celery has the most calcium, potassium, and vitamin C.
So I bought it and returned home quickly to stir up a delicious celery soup. It turned out thick, creamy and so yummy. Check out the ingredients and start stirring. 1. Take s little butter in the saucepan, add chopped onions and saute for just one minute. 2. Add the garlic, chopped celery, chopped potato and saute for another two minutes till celery gets tender. 3. Add the masala stock cube, one cup of water and salt. 4. Let the broth simmer for 10 minutes. Cover the saucepan with a lid and cook. Or you can add this to a pressure cooker and cook for one whistle. 5. Purée the paste in a blender. 6. Add the soup back on slow flame, add crushed pepper and pinch of sugar. 7. 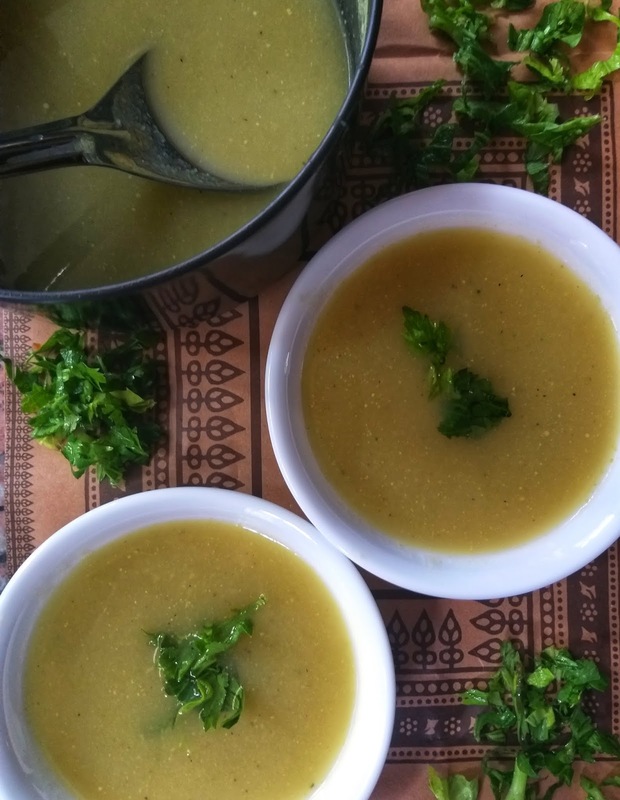 Serve the celery soup topped with celery leaves and soup sticks or garlic buttered toast. Wish to try a new recipe? But what do you do when you are too tired and tied with other things. No time to go to the market to pick up fruits and vegetables. And you have to cook up a meal? Well, I just open all my kitchen cabinets, fridge drawers and gather ingredients. Then think of the best dish, I can make with it. 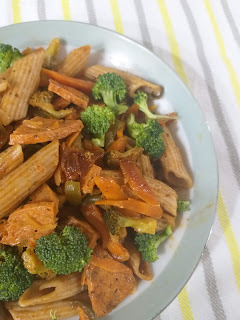 This time, I had half a packet of whole wheat pasta, sweet corn, few veggies and a packet of chicken Salami. Voila!! 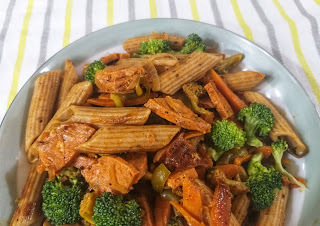 I stirred up a quick Salami pasta in only 20 minutes. 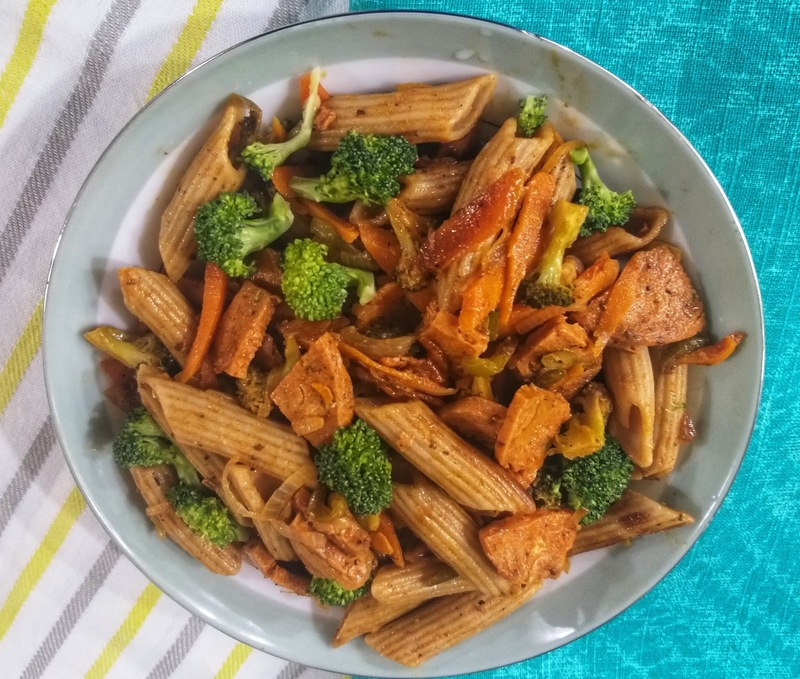 It was a refreshing change from regular cooking, plus perfect for a weekend TV dinner. Serve it with butteted toast and a bowl of soup. Now check the ingredients to make this very easy whole wheat pasta recipe. 1. Take a saucepan and boil some water with a pinch of salt. Add the pasta and 1 tsp of oil. Cook it for 10 minutes. 2. Now switch of gas and wash the pasta in running water, strain and keep aside to use later. 3. Now heat 1 tbsp of oil in a frying pan .Add finely onion. Saute till it is pinkish in colour. 4. Add chopped carrot, broccoli and chopped capsicum into it and cook it for two minutes. 5. Add the tomato sauce and chilly sauces. Add salt, pepper and oregano. Saute for two minutes, do not overcook the veggies. 6. Now add chopped salami and boiled pasta. 7. Add a little water if you find the dish too thick. 8. Put off the gas flame and place the pasta on the plate and garnish it with some grated mozzarella cheese. Your delicous pasta is ready. You can add any other vegetables. For eg - Frenchbeans, cauliflower, sweet corn or even pumpkin. 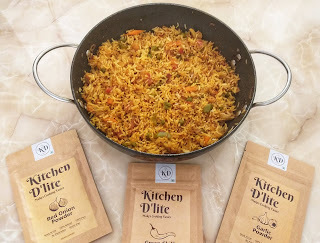 Today I wish to share another quick and easy rice recipe with you all. This dish was introduced to me by my school friend Thrity in our lunch break. Exchanging recipes was our favourite conversation over a hot meal in the dining hall. It seemed easy to try. Today I tried to make it again and it really turned out. 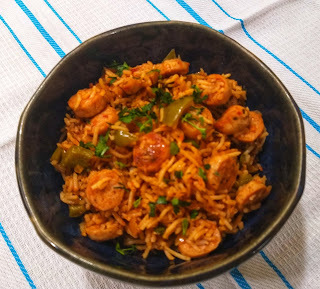 I used Zorabian sausages in my recipe. Zorabian is a 36-year-old company dealing with good quality chicken. Now 8 years into the retail business their quality and range of products is very impressive. 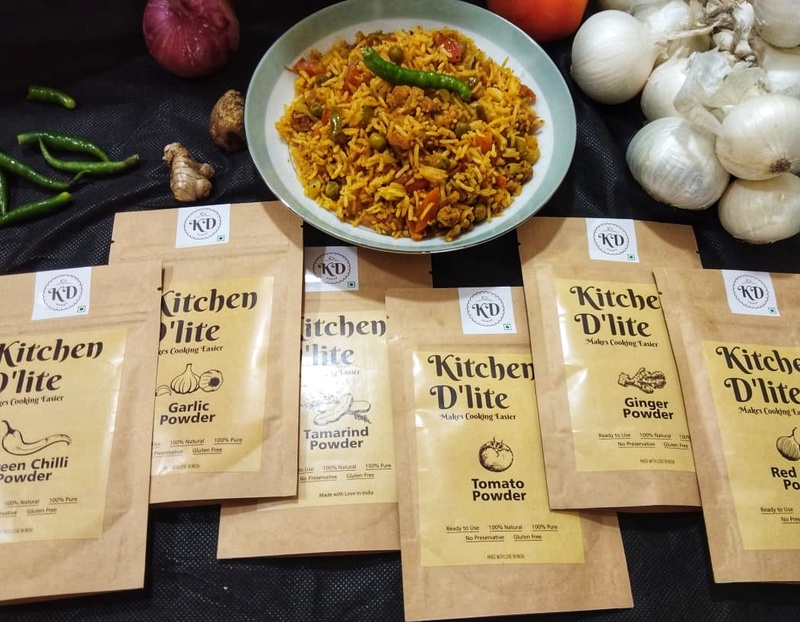 With a new ready to cook and pre-marinated range of products to make things easy in the kitchen. So grab your skillet and let’s get cooking! 1. Parboil the rice with a little salt, strain and keep aside. 2. Chop up the sausages into small round discs. 3. Now in a nonstick pan add very little oil and cook the sausage pieces over medium-high heat till they are well browned. Keep stirring the sausages as they get done. Keep aside to use again in a recipe. 4. In the same nonstick pan, add chopped onions and garlic. Saute till golden brown. 5. Add the chopped tomatoes to this mixture and cook till tomatoes are soft and mushy. 6. 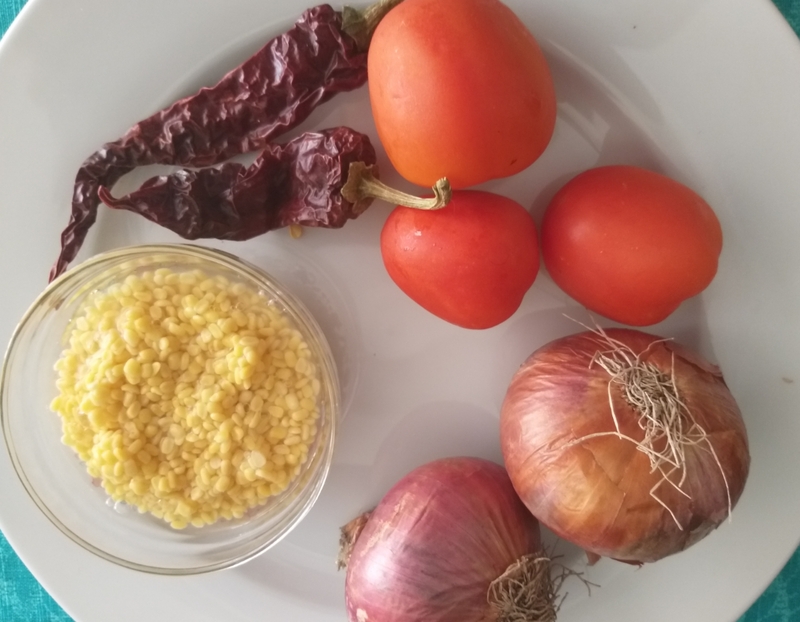 Now add in the tomato ketchup, capsicum, and white vinegar. 7. Add the sausages back to the pan. 8. Now stir in the rice gently. Add a cup of water and salt to taste. 9. 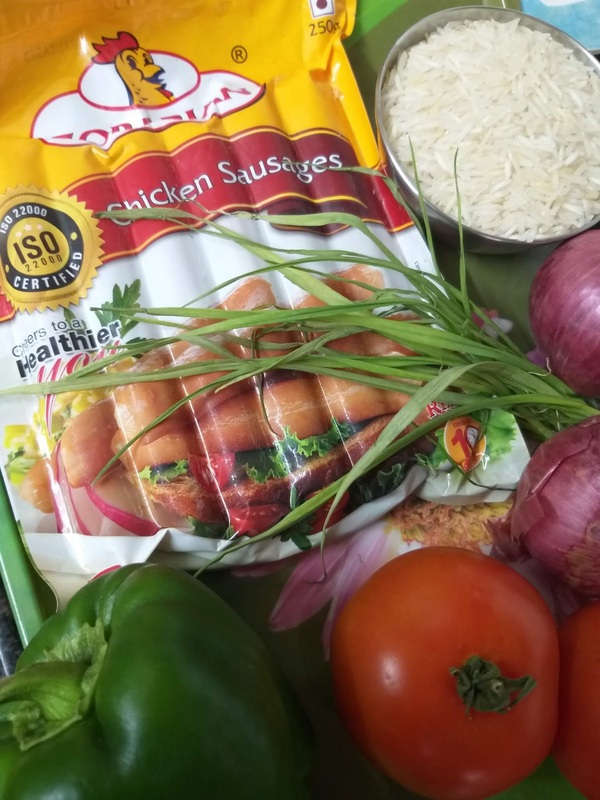 Let the sausage rice cook on simmer. Cover the pan and cook till dry. 10. Garnish with coriander and serve it hot. You can use Zorabian spicy sausages or Zorabian Salami too for this recipe. Love is in the air with Valentine's Day round the corner. So lets cook up something sweet. 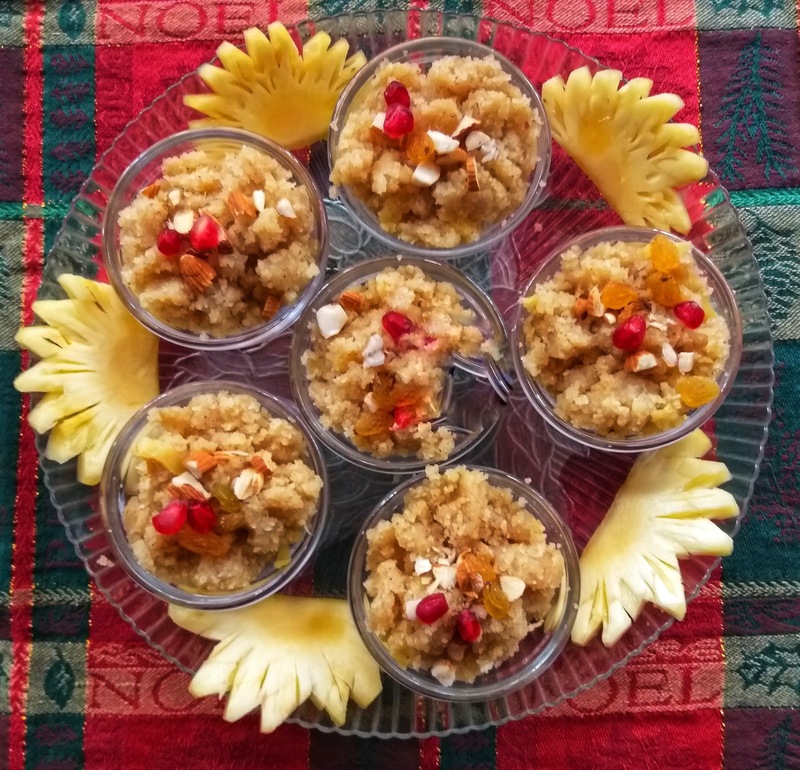 An Indian desserts this time, a halwa that is super special. 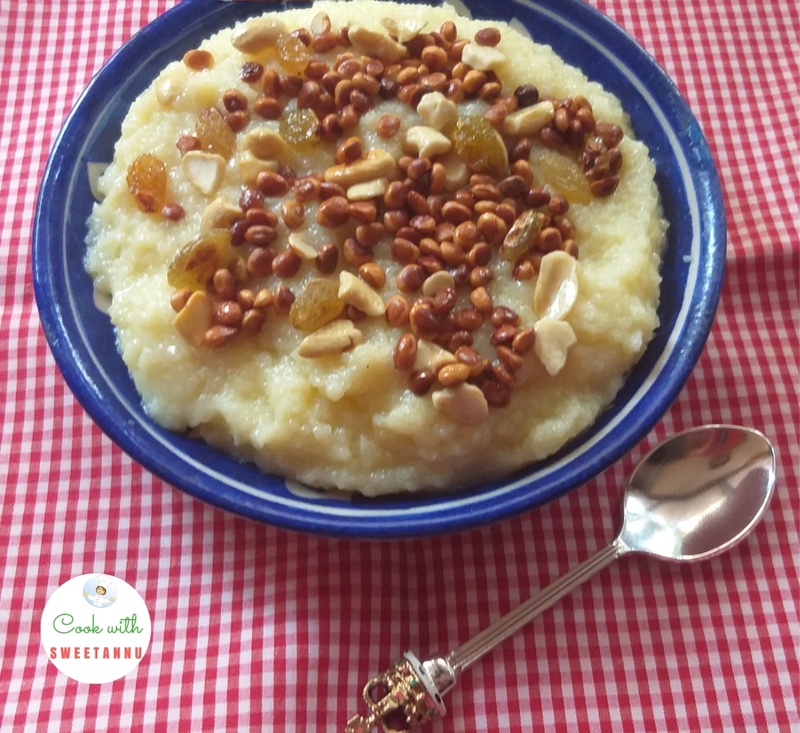 I remember savouring Pineapple Halwa at a Bohri friends place. The sweet follows and savoury in a Bohri Thala and Pineapple Halwa was what I truly relished that day. Recently,I tried to make a Pineapple Halwa recipe that turned out quite good. 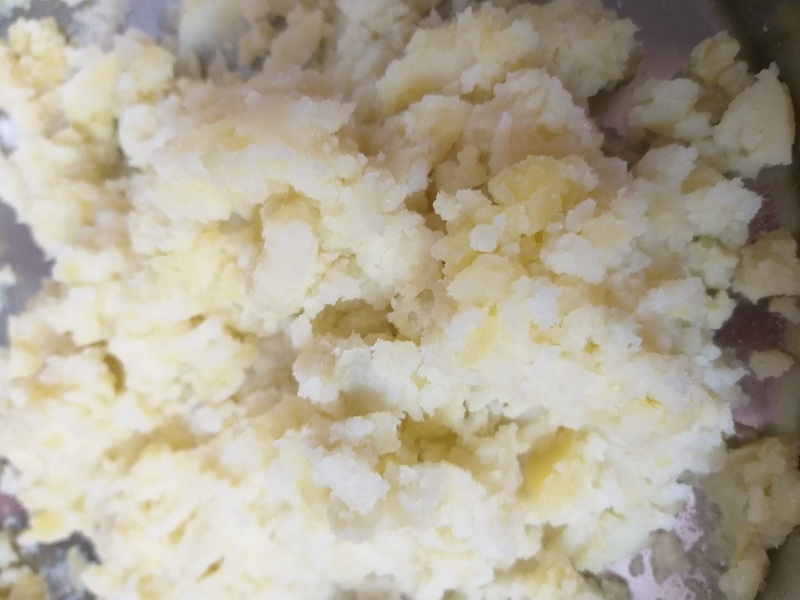 I have cut down on using ghee in my recipe. 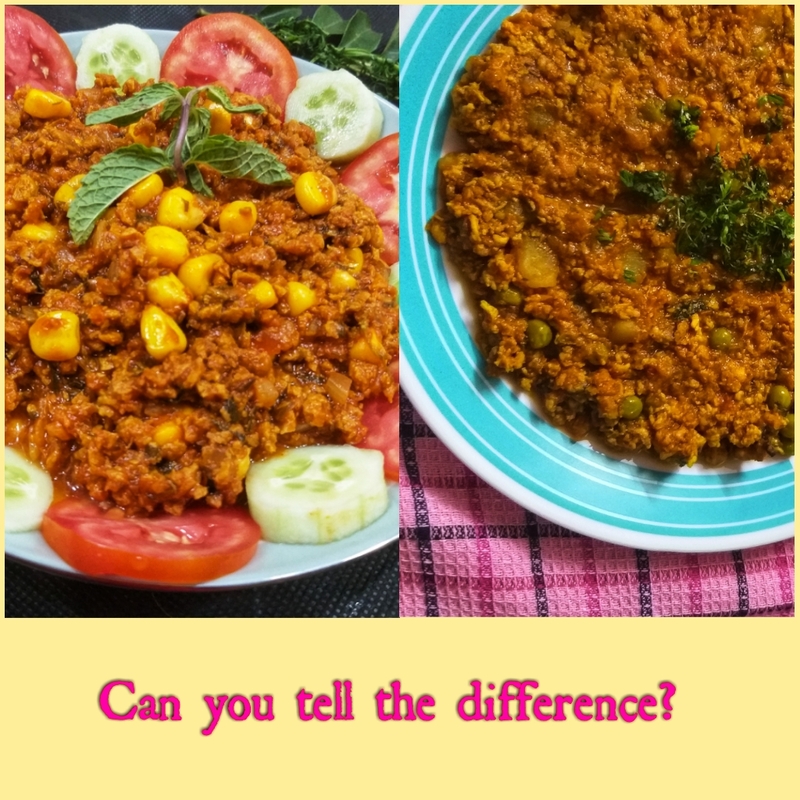 Sharing the easy recipes with all of you. The halwa is a very popular Indian sweet dish made with Rawa and pineapple. It tastes sweet and sour and has bits of chunky pineapple pieces, really enjoyable. 1. Heat half the ghee in a pan, when it is hot add one cup semolina and start roasting it. 2. Keep roasting on slow flame till the rawa turns brown and you get a good aroma. 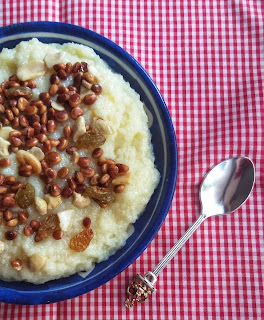 Turn off the gas and take out the semolina on a plate for using later. 3. 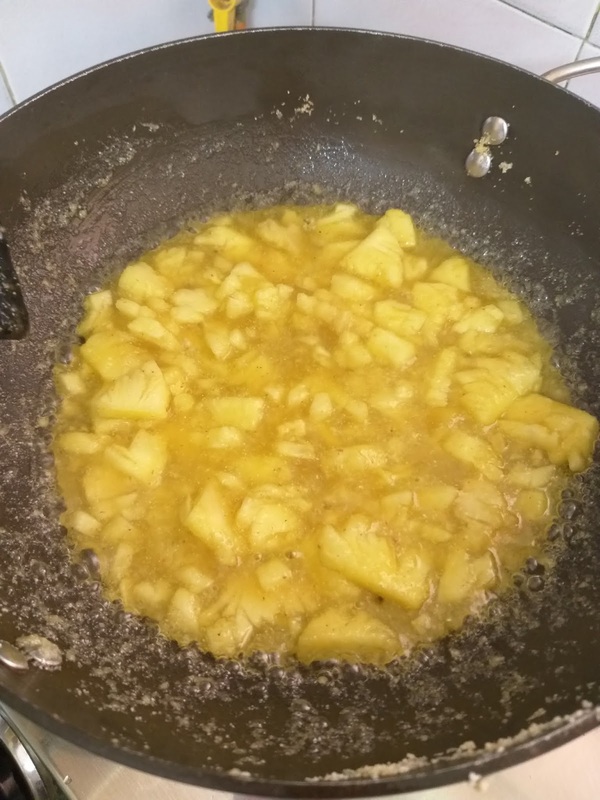 In the same pan, add the pineapple puree and sugar and stir for 5 minutes. 4. Now add one cup pineapple pieces, cook the pineapple is soft and mushy. 5. Now add 2 cups water and bring to a boil. 6. 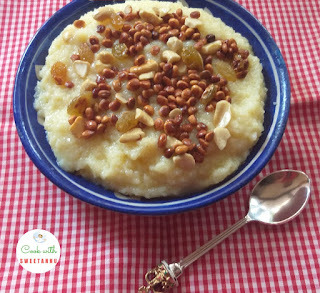 When the water boils, add the semolina back to the pan and mix it well. 7. Add the cardamon powder to this mixture. 8. Cook the halwa on low flame till the ghee leaves the side of pan. The mixture should be dry and rawa cooked through. 9. Add the remaining ghee and roast for two minutes more. 10. 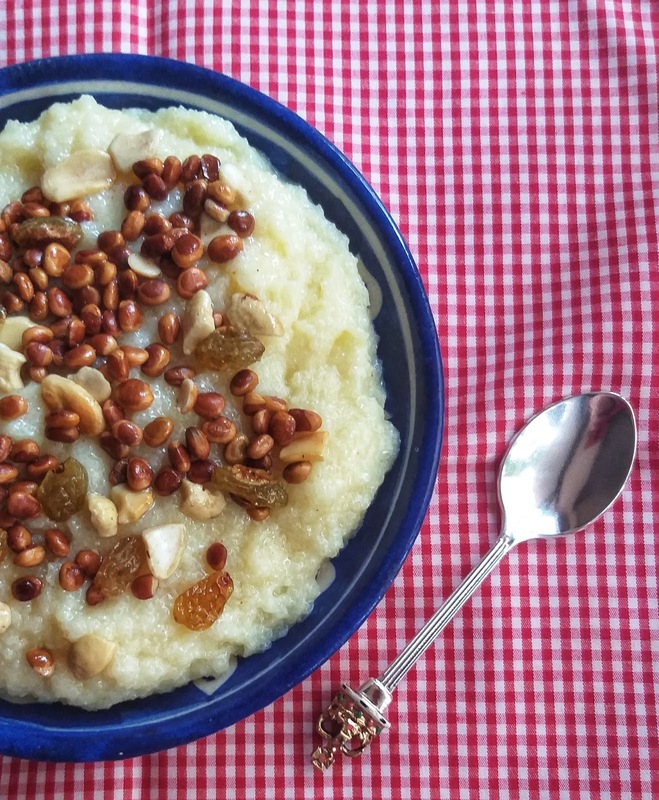 Garnish with chopped raisins and nuts. 11. Serve it hot or cold with a scoop of vanilla icecream. 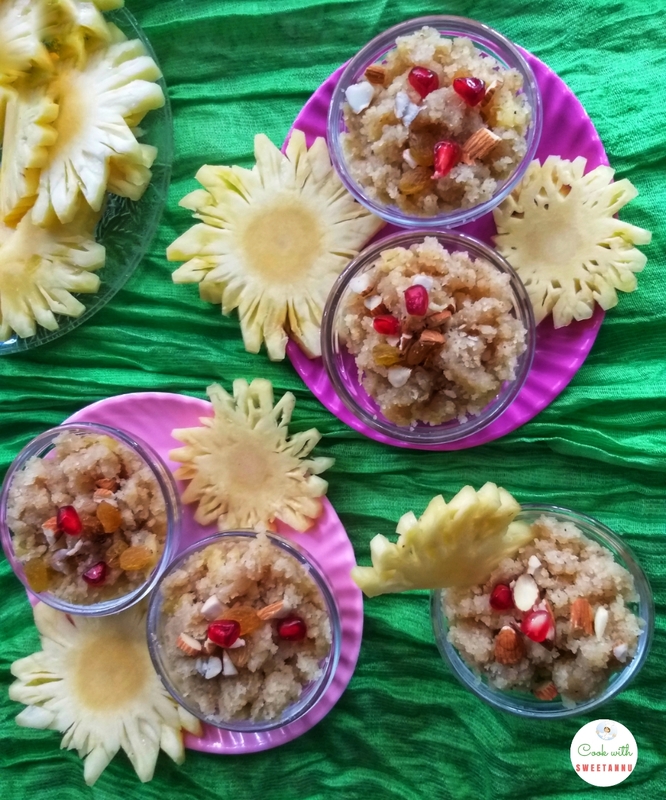 The video below has a step by step recipe so do refer and cook up a tasty pineapple halwa for all at home for Valentine's day. 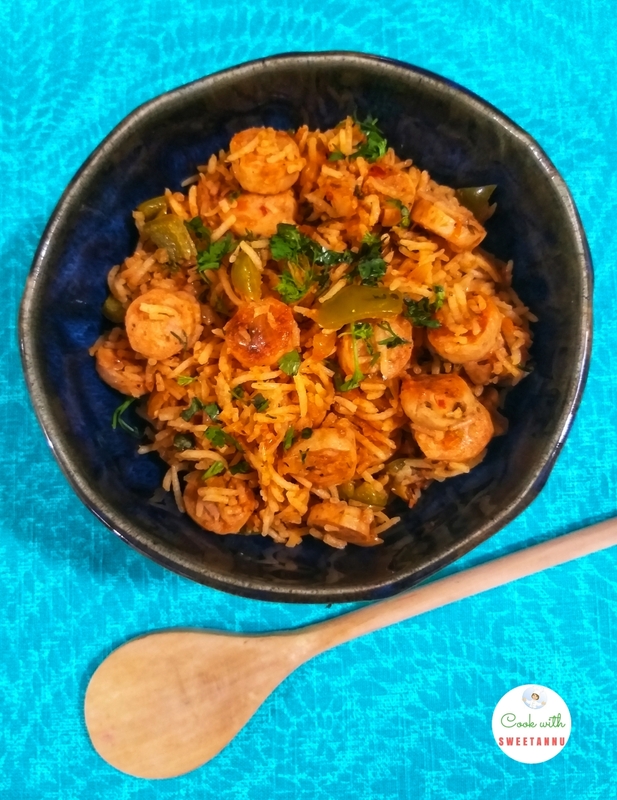 In my earlier biryani posts, I have shared recipes for prawn and chicken but not a fish variation. I learnt a very easy fish biryani when I visited my sister's house two weeks back. Her maid Phoolmani makes such a fatafat finger licking biryani. 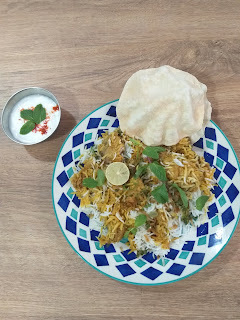 After learning the simple trick of layering the biryani and keeping smokey flavours intact, I tried to replicate it at home. Fish cooks very quickly unlike chicken or mutton, so one has to be really careful about not stirring it too much, or over cooking it on high flame. The recipe is done in two parts and then assembled together. 2. Now parboil the r5ice with ghee, whole spices and salt. 3. Strain the rice under running water to see they dont get sticky. 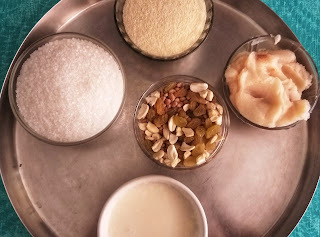 4.Take a mixing bowl, add the curd, dry spices, ginger garlic paste and salt. 5. Crush the fried onion and add to curd mixture. 6. Squueze the juice of one lime. 7. Now place the fish pieces in this marinade. 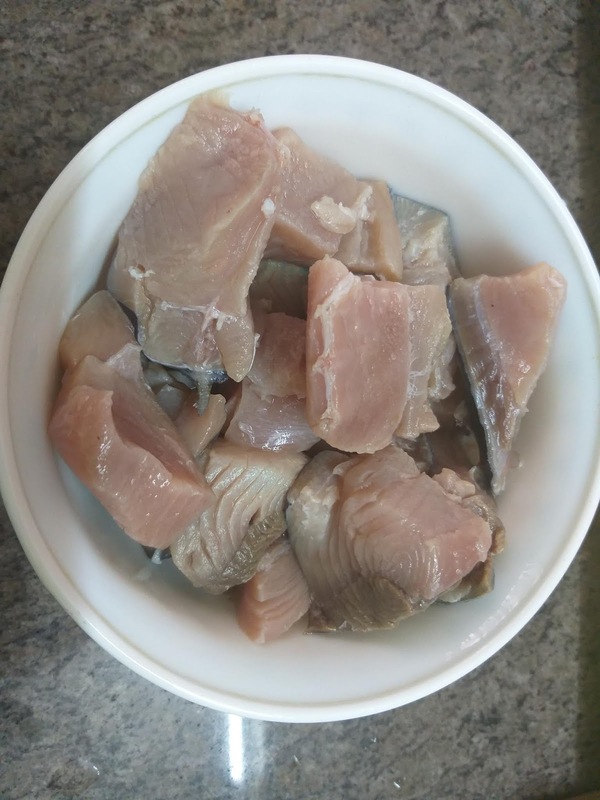 Gently fold the fish and coat it with the mixture. 9. Now Add fish masala, let it sizzle for two minutes on low flame. Do not mix with spoon. Just shake the pot from side to side. 10. Now turn off the gas, layer with rice. 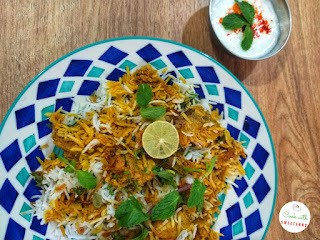 Sprinkle saffron mixture, fried onions, mint and coriander. 11. Cover the pot with a lid and seal the ends with chappati dough. 12. Place the vessel on hot tawa and cook on low heat for 15 minutes. 13. Gently mix before serving. 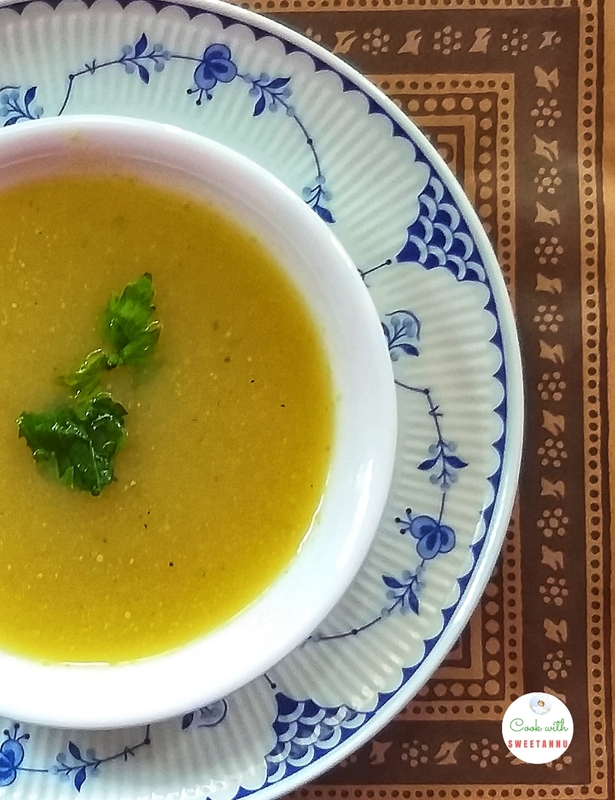 Serve it piping hot with cucumber raita.